If you alo love sweets, then you will definitely not be able to resist the ice cream with Kinder Bueno. Even though it is winter in front of us, many people still enjoy the ice cream in that time. If you also love to have an ice cream in winter, then the homemade Kinder Bueno ice cream is perfect for you! For preparations, we need liquid cream, edible chocolate, wooden ice cream sticks and, of course, Kinder Bueno. First, mix the contents in the Kinder Bueno packaging, then pour cream into the packaging. 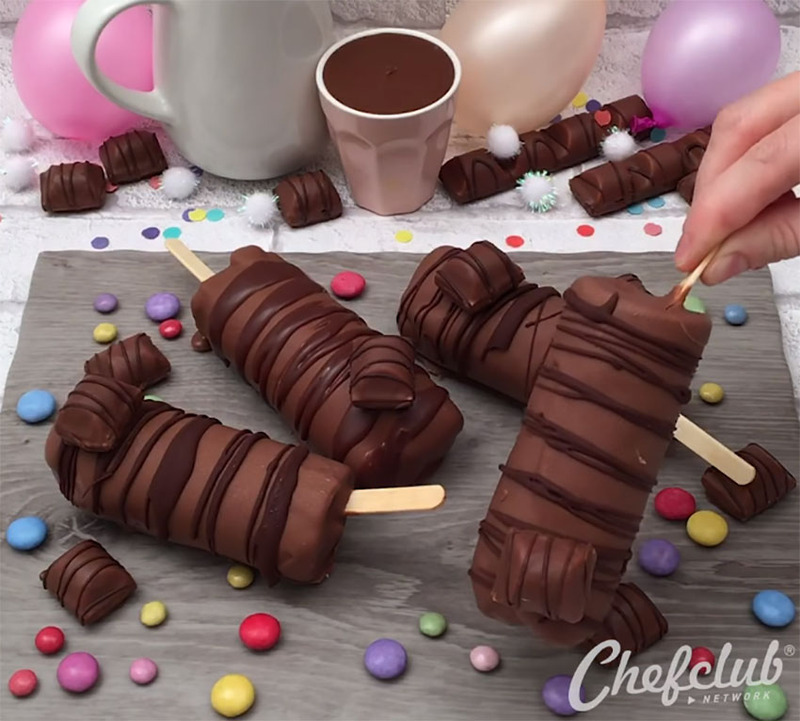 We then freeze it everything, then we dip an ice cream into a melted chocolate. The Kinder Bueno ice cream can still be decorated, then the contents are again frozen. The result is an exceptional dessert, which makes each of us hungry. Will you also make your Kinder Bueno ice cream by yourself?